As the name suggests, short term or temporary car insurance provides vehicle cover over a short period of time. There could of course be many other reasons why temporary car insurance is ideal for a specific reason. This guide explains the benefits of temporary car insurance along with possible disadvantages. Short term car insurance typically last from between one day up to 28 days. So whether you are looking for one day car insurance, one week or one month insurance, it all comes under short term car insurance. One of the main advantages of short term car insurance is that if you have acquired and maintained a no claims discount, it remains unaffected in the event of an accident with short term insurance. this can be especially beneficial if you are teaching a learner driver, or driving on unfamiliar roads abroad and are concerned that an accident may put your no claims at risk. Another advantage of short term car insurance is it’s ease to set up, availability and speed that is can be acquired. Short term or temporary car insurance is often seen as an emergency insurance as it is very quickly. Short term insurance is quick and easy to acquire as it requires less information to be exchanged for the policy to become fully active. 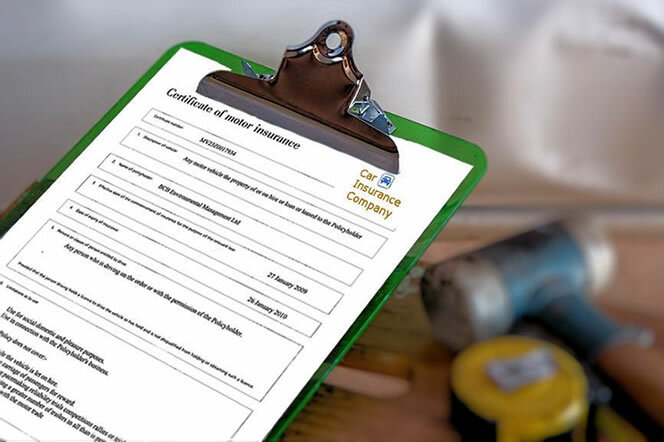 All the many different types of car insurance are fundamentally based on third party car insurance, third party fire and theft (TPFT) or comprehensive car insurance. The majority of short terms car insurance policies are based on comprehensive insurance, although a handful can be obtained based on third party fire and theft. Depending on your circumstances, short term car insurance based on third party fire and theft may be the cheaper option. European cover may come as standard on a short term car insurance policy although it is likely to provide you with the bear minimum cover. Other policies may issue European cover as a optional extra that requires a further payment. If you intend on using short term car insurance to drive abroad, contact the provider and ask exactly what the policy covers you for. In most instances, the car must be registered in the UK. The criteria for short term car insurance is less stringent than a typical annual insurance and as a result can present itself as higher risk for the provider. Providers therefore prefer policyholders to be of an age outside of the highest accident risk statistics of young drivers at 17 years old. Most short term car insurance providers specify an age between 23 and 75 years although this varies. Some providers offer short term car insurance to younger drivers from 18 years of age. It depends on your driving habits. If you seldom drive or use your car, it’s likely that short term car insurance will work out cheap than a typical annual policy as you can simply insure it when you need it. Short term insurance usually starts at a cost of around £10 per day. Most providers do however specify a limit on the length of time a short term policy is valid for and also the amount of times you are permitted to hold a short term policy within a 12 month period. If your vehicle is not insured at any time and you are the registered keeper, it must be declared by making a Statutory Off Road Notification (SORN). If you drive infrequently, but short term car insurance doesn’t quite fit with your plans, pay as you go car insurance may provide a financial saving. Learner drivers can take out short term or temporary car insurance although it must be a specific short term insurance for learner drivers only. Short term car insurance for learner drivers offers different terms and conditions allowing for 17 year old drivers with provisional driving licences to be insured for as little as £2 per day. An experienced driver who intends on teaching a friend or relative to drive will benefit from short term car insurance as an accident will not affect their no claims discount. When selling a car, some individuals prefer to sell their vehicle with current tax as part of the package. this make for more attractive deal as when purchased, the new owner can legally drive the vehicle away. You can purchase tax from the DVLA via telephone or online and providing your vehicle is insured, even with a one day car insurance policy, all should be acceptable. The only issues that may arise is that the MID database can take longer than 24 hours to update your details and if the Motor Insurance Database does not hold your details, you will be refused tax. You may also apply at a post office and again, as long as your vehicle is insured and you are able to provide proof in the form of a printed insurance policy document, there should be little reason for the clerk to refuse your application.